Raura (R/oss and L/aura) is the real-life pairing of Ross Lynch and Laura Marano. They appear to be very close friends, and they are very comfortable with each other. They are good friends, because through different interviews they are teasing each other, joking around, and neither of them mind doing romantic scenes together. This pairing also seems to be the most popular and most loved real-life pairing in Austin & Ally. For the in-show pairing between Austin Moon and Ally Dawson, the characters Ross and Laura portray, see Auslly. They both love to perform music and shows. They both have siblings in the acting industry: Ross's older brother, Riker, plays Jeff Warbler in Glee, and Laura's older sister, Vanessa, who plays Bay in Switched at Birth. 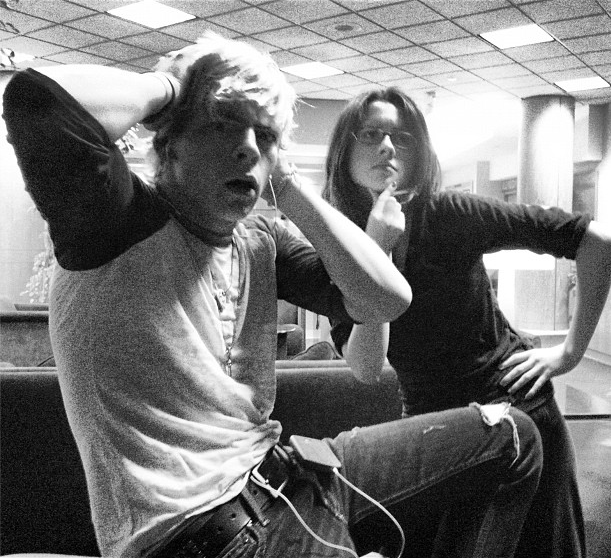 Both Laura and Ross seem very interested in helping kids and the planet through Friends for Change. They both have verified Twitter accounts. They are both born on the 29th. Ross was born on December 29th, and Laura was born on November 29th. They both have older sisters. They both can play piano. They both said they hang out a lot. They said "Austin & Ally" is the best show ever. They love all episodes from Austin & Ally. They love the word Awesome/Rossome. They both gave advice to the N.B.T season 5 contestants together. They both say it's important to have an education. They both are too busy; Ross with his band and Laura with her school. They both have had songs on Disney derived albums. They both have "Who I Am" videos on Disney. They both have favorite colors that are very close to the color Orange. They both have friends who ship them together. They both agree Austin and Ally should be together. They were both born in 1995. They both have Keek accounts. They both have "Walk the Moon" jumpers (Laura got hers from a fan). They both agree on behaving like a married couple. They both did "This Is Who I Am" videos for Disney Channel. They have kissed each other twice. For the episodes, Real Life & Reel Life and Last Dances & Last Chances. They are both nominated for the 2014 Teen Choice Awards. Ross for Choice Comedy Actor an Laura for Choice Comedy Actress. Ross and Laura have both met The Vamps. R5 collaborated with them on stage and also had some interviews with them, whilst Laura was the lead role in their music video for 'Somebody To You'.